These Mammoth rentals are part of our current special deals. They are fully equipped and priced just right. All our rentals come with full kitchens, linens, towels and are ready when you are. Many units have Internet, spas, fireplaces and are on the free shuttle route around town. To see what's on special just enter your arrival dates and press go. You won't find these special rates anywhere else! 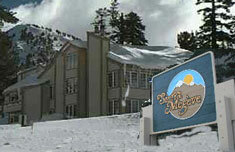 Many of the properties described in our search are in the Canyon Lodge area of Mammoth Mountain resort. In winter, they are ski in ski out and walk to the lifts. Chamonix condo rentals are a short walk to the Canyon Lodge. This premier property has full kitchens, fireplace, Internet, spa and good proximity to the lifts. Courchevel condos are right next to the Mammoth lifts these rentals come in 2-4 bedrooms with an occupancy of up to 10 people. They are at Canyon Lodge and popular in summer for Motocross. Just one building away from Canyon Lodge, Silver Bear condos are premiere Mammoth quality. 2 and 3 bedroom units with underground parking, spa, Internet and fireplaces. 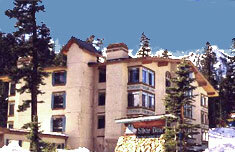 Sierra Megeve is the closest Mammoth Lakes home rentals to Canyon Lodge. They are right right next door and near the gondola. Most are two or three bedrooms with up to eight people per unit. If you would like to speak with a concierge about your vacation call us at 866-864-6444. We're here every day from 9:00 AM to 6:00 PM.